“A picture is worth a thousand words” is a tried and tested adage, which seems to be holding true based on the increasing popularity of Instagram. Facebook’s billion dollar baby has picked up tremendous pace in the past year for myriad reasons. It has reached a whopping 130 million users and is no more just a mobile photo-sharing app but a buzzing social network in itself. About 60% of Instagram users are now from outside the US and although it is not as popular as other social media platforms in India, it is slowly gaining traction with youngsters, hipsters, and brands alike. Casual simplicity of using the app and the ubiquitous camera-equipped smartphone. Super inbuilt ‘photo filter’ tool enhances the user experience, especially for amateur photographers. Facebook has become too complex, cluttered and advertisement heavy, while Twitter has always been text intensive. Seeing is believing, and this makes Instagram one of the best tools for sharing, recommending, and learning about new products, places, and a plethora of creative ideas. Most people relate easily to pictures compared to text. You would pick Calvin & Hobbes over Harry Potter any day, right? Instagram’s popularity is not restricted only to a coterie of smartphone-savvy photographers but also caters to a growing number of brands broadcasting snapshots of their products and events. At last count, about 123 of the Fortune 500 companies have adopted Instagram as a part of their content marketing strategy. Brands like Nike, Starbucks, Forever 21, and Victoria’s Secret are some of the most followed brands on Instagram; the latter might have the added advantage of its content being non-TG i.e. Men too will follow them for obvious reasons. There are many celebrities and influencers who use Instagram to give their followers a peek into their life and also end up promoting the products or services they use. In the wake of ‘Social Media Influencers’, Instagram now plays a big role in supporting the ideal philosophy for a brand : ‘An influencer is someone who buys your products and promotes them too’. Successful influencer marketing has the ability to sway potential customers’ minds and hearts as long as they are authentic, engaging, and aimed at the right community. A closer look at the below pictures suggests that Instagrammers are not just random photographers, but also a bunch of disguised marketeers, brand promoters, food, fashion and product stylists, creative writers, content makers, photo editors, designers and the list goes on.. Here are some activities that I have recognised, which at first glance sound similar to Twitter promotions, though a deeper analysis proves otherwise. With its visual appeal, Instagram is more customer oriented than Twitter. It also filters through unwanted spamming in case of a contest, something we come across very often on Twitter. A brand can easily do a background study of their audience and pick their ‘Influencers’ and TGs. While there can be various campaigns for a brand to connect with its potential customers, here are some examples of their success stories (While globally there are millions of campaigns being held at a humongous scale, my post shall only talk about local brands in India). These are the foremost and most obvious dynamic interactions with the target audience. Not only are contests popular with existing patrons, but they also help develop an interest to attract potential patrons given the peer branding that participants create with posts on their own timelines. 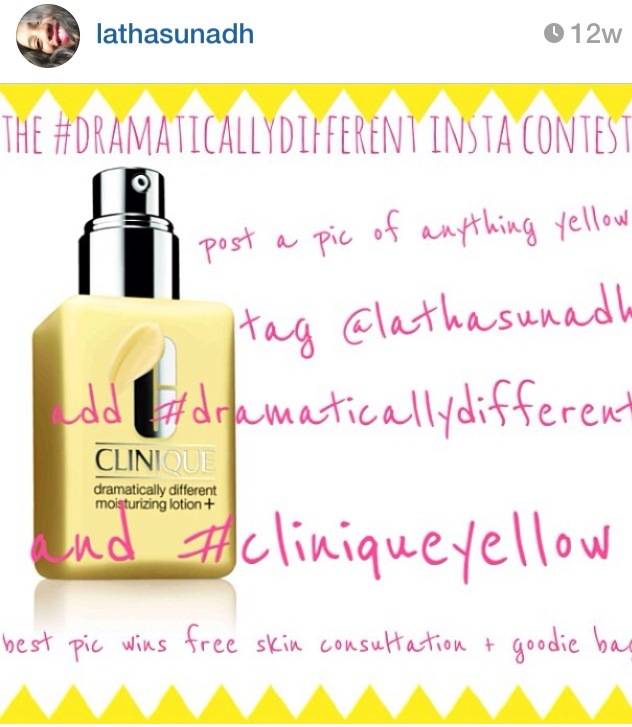 Eg – Clinique India (premium cosmetic brand) did a contest with fashion/beauty writer @lathasunadh. In this case, the brand can rest assured that their host is directly marketing to their target group- her followers and the participating audience. Many restaurants/hotels are now encouraging Instagram activities at food blogger events like Chef’s Table and Cooking Workshops. 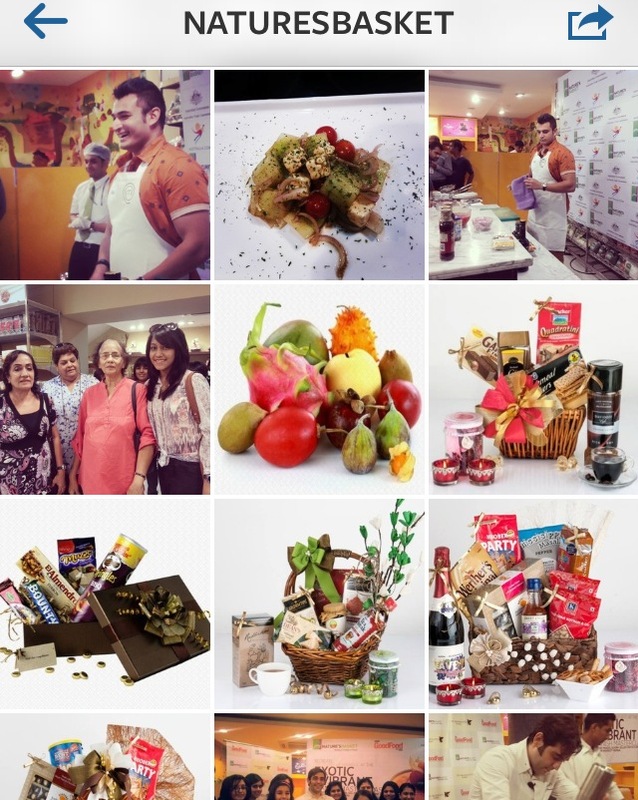 Hotel Four Seasons, Mumbai and Nature’s Basket actively promote their Instagram by hosting relevant activities and encouraging the participants to upload interesting images/videos. Ideal for a new product launch or a new menu, in case of restaurants. 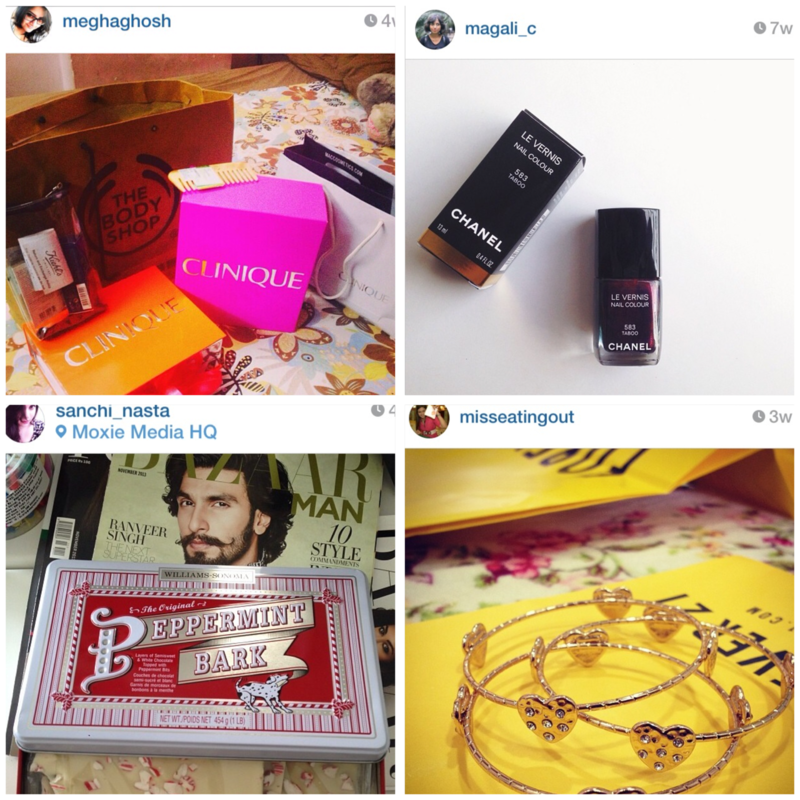 Covering an event on Instagram by using a common #hashag creates a healthy buzz about an event. Good use of the hashtags also ensures a wider reach to the target audience and creates a more dynamic form of engagement with the audience. Eg- A Live Instagram session hosted by Haagen Dazs and conducted by social media id @misseatingout, a first of its kind concept. 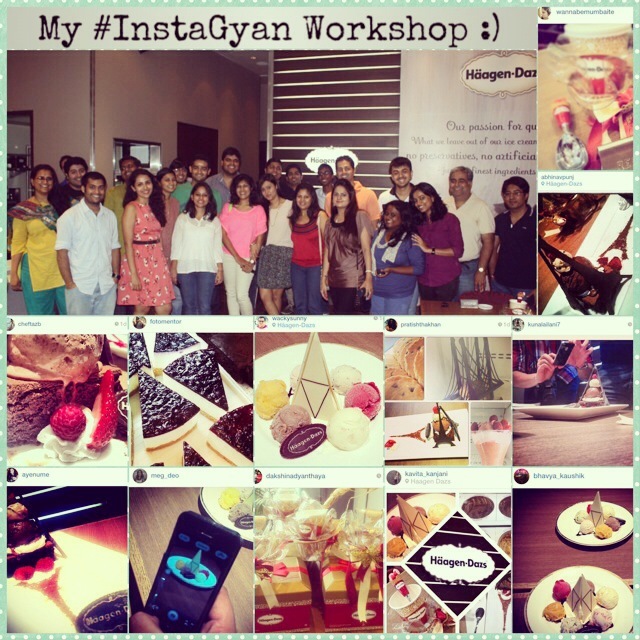 The event focused on basic training about the app, followed by Instagramming and tasting the signature desserts of Haagen Dazs. Around 30 people participated in this event, including popular food bloggers and social media influencers. All of this not only translated into an increased number of followers for Haagen Dazs, but the first-hand positive reviews posted by participating Instagrammers on Twitter, Facebook and Personal blogs, has its own benefits too! 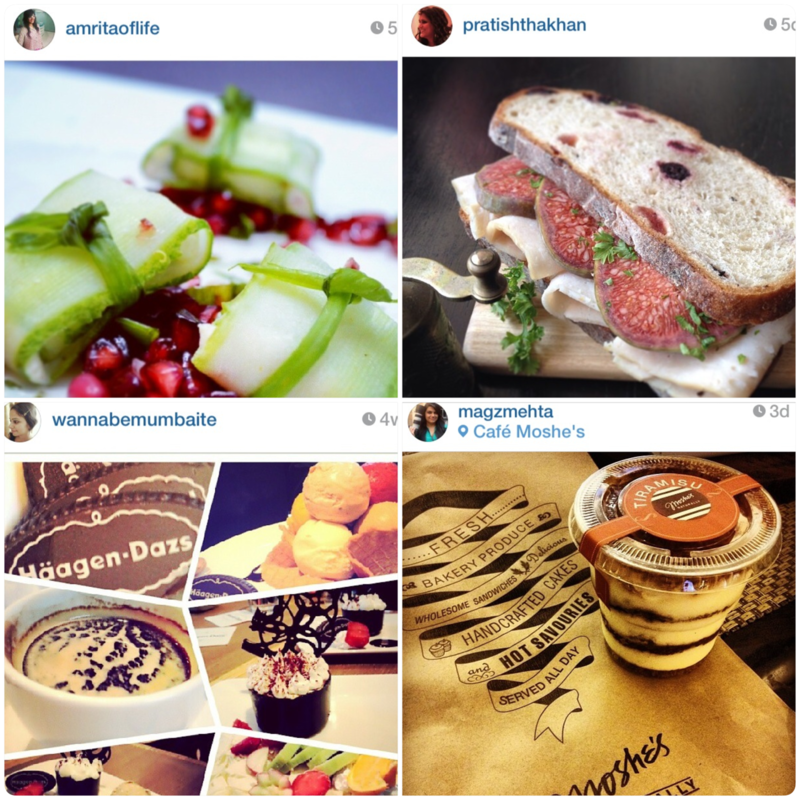 The recent trend has seen restaurants and fashion brands making their way on to Instagram. 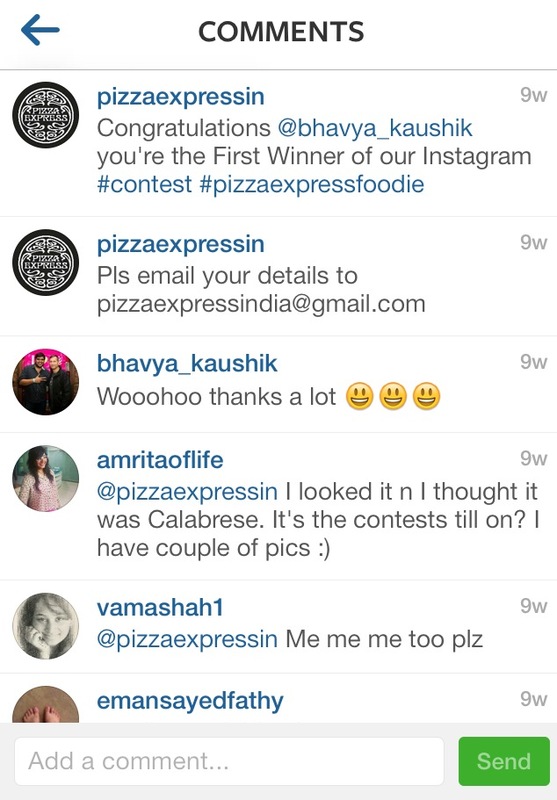 Cosmetic brands like L’oreal India and Maybelline, and international food chain Pizza Express among others, have been expanding their follower base with interesting contests on a regular basis. 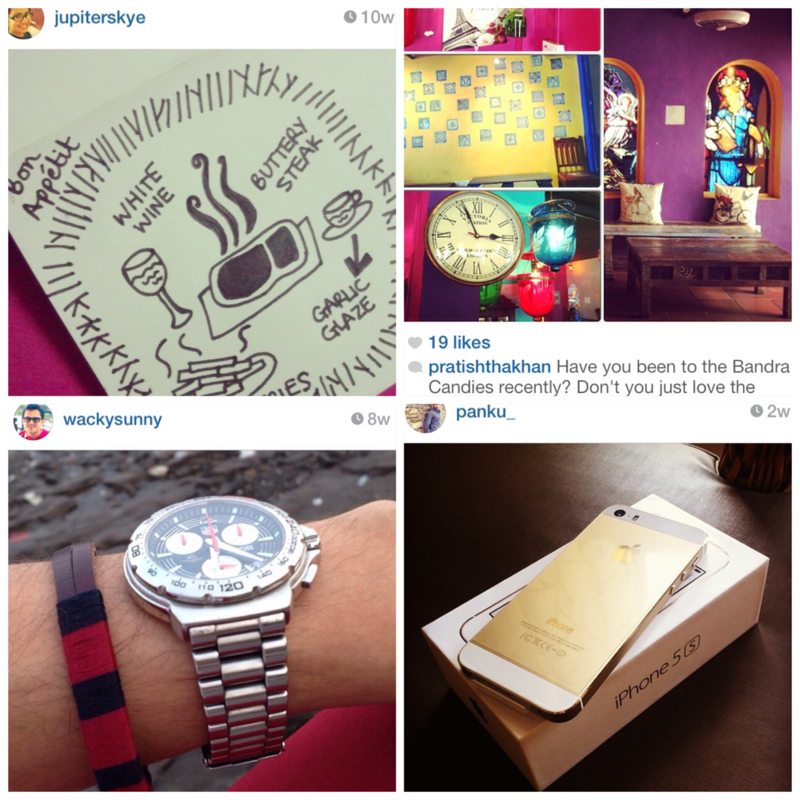 Kiehl’s India strategically reposts their brand pictures, a step ahead of basic engagement by ‘liking’ or ‘commenting’. It was also interesting to see Kiehl’s India run an offline Instagram contest recently at Fashion Night Out, Palladium Mall. 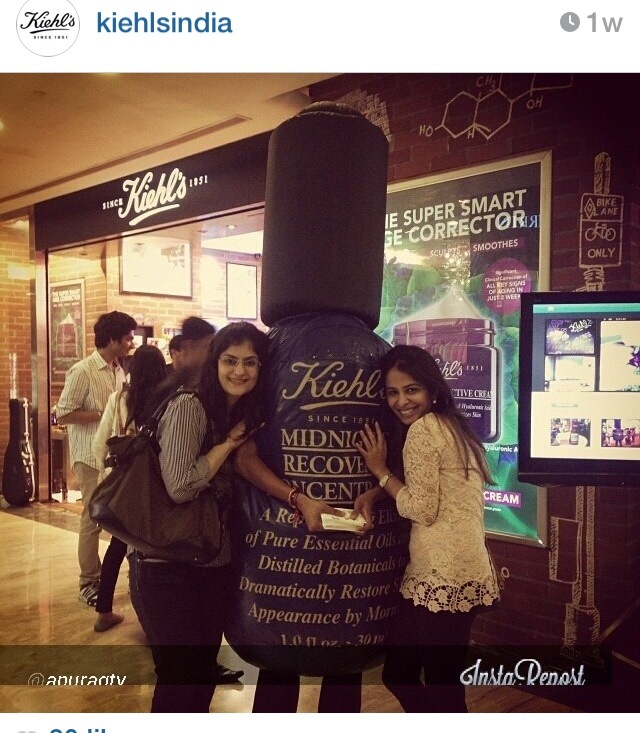 People were encouraged to click pictures at Kiehl’s store and upload it onto their Instagram by tagging @kiehlsindia. 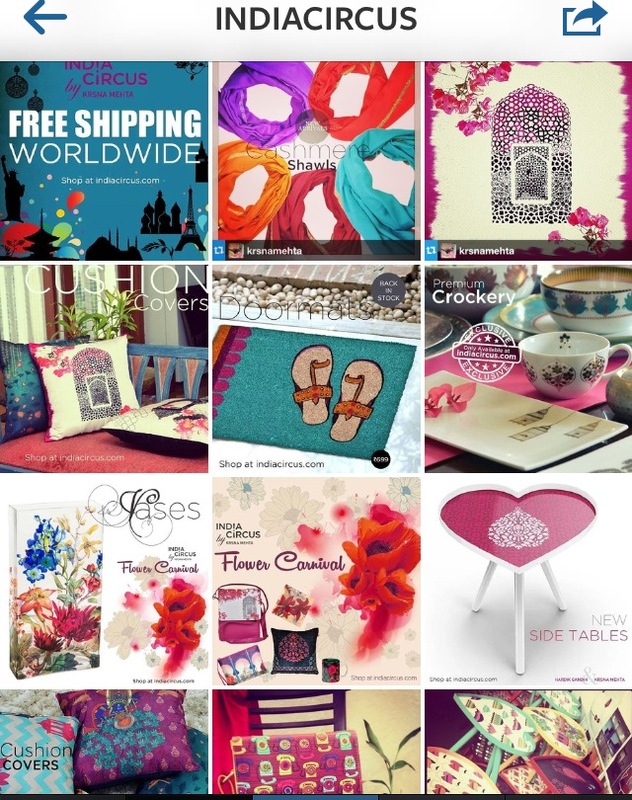 Interestingly, Instagram promotions are also being implemented by niche and specialty brands like India Circus @indiacircus, The Home Label @thehomelabel and Quirk Box @quirkbox. In terms of the number of followers for a brand per se, I believe Deliciae Patisserie (initial set-up and curation done by yours truly) has a good deal of engagements with over 2500 followers (making it the most followed local brands in the F&B space) , including celebrity followings like Sonam Kapoor and more. You will be surprised at the amount of sales being generated from Instagram alone. Instagram, while still in its nascent stage, will grow to be a brilliant platform as it provides you with visual interactions and has an extended outreach when leveraged through evangelists. Early adopters have already witnessed business and influencer impact and this will continue to grow drastically in 2014. 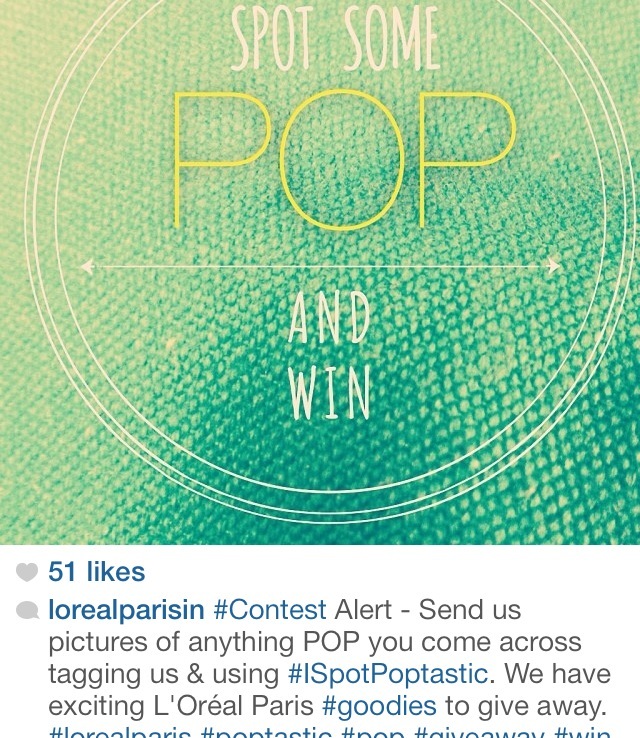 Instagram has high potential to play a crucial role in brand marketing for fashion, food and lifestyle products. For the brands who have creative strategies and smart content, Instagram can be an exceptional pull and is still a rather under utilized tool. The pace at which Instagramming is being accepted as a social media marketing tool though, suggests this is about to change.